My skin literally hit the "change" button the second I hit 30. It was like everything I thought I knew so well about my skin was somehow shifting - I was more sensitive to certain ingredients, started seeing redness in some areas, started getting dryer in areas where I was prone to oiliness, but most annoyingly, I started complaining about fine (and not so fine) lines that seemed to be taking over my forehead and around my mouth. So, I went to my dermatologist, who basically said: you can do all you want to your face, but when it comes to fine lines and wrinkles, there's one topical solution: retinol. But, which one to choose? Which kind will be kind to my suddenly sensitive skin? So, in my deep dive into all things retinol, formulas and applications, I was able to tally up a few favorites across the potency spectrum. 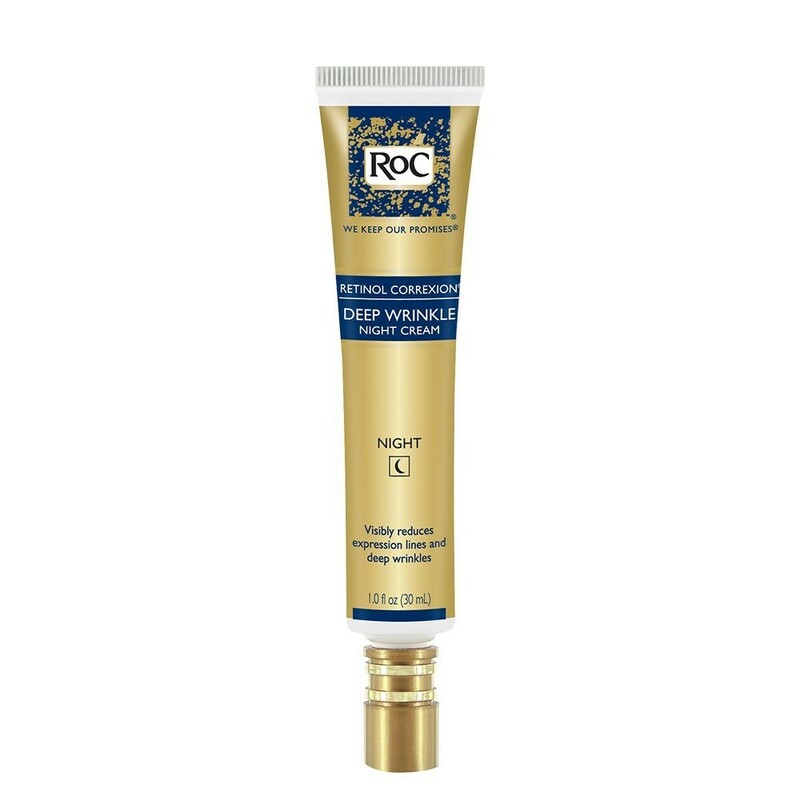 RoC and retinol have become basically synonymous in the world of anti-aging products. And it’s not too much of a surprise considering the brand was one of the first to stabilize retinol and make it available via suspensions or creams. At a very accessible price point, RoC still makes some of the best retinol products on the market with a tried and true record of being an industry leader when it comes to this mighty ingredient. RoC is one of my go-tos for travel because of its gentler nature than other retinols at much higher concentrations. This is a great starting out product if you’re looking to get your feet wet! While this is not the highest concentration of OTC retinol you can find on the market, it’s pretty up there and let me tell you, it does not disappoint. This blend of 1% retinol, ceramides, shea butter and AHAs works to accelerate cell turn over and smooth out the texture of your skin. As the concentration is quite high, always patch test first and start by using every 3rd night at the most. The real kicker is this cream did more than just help with fine lines and also dried up and eliminated pesky blemishes that I usually get around my nose and chin. This is a definite must if you’re building up a tolerance to retinol! 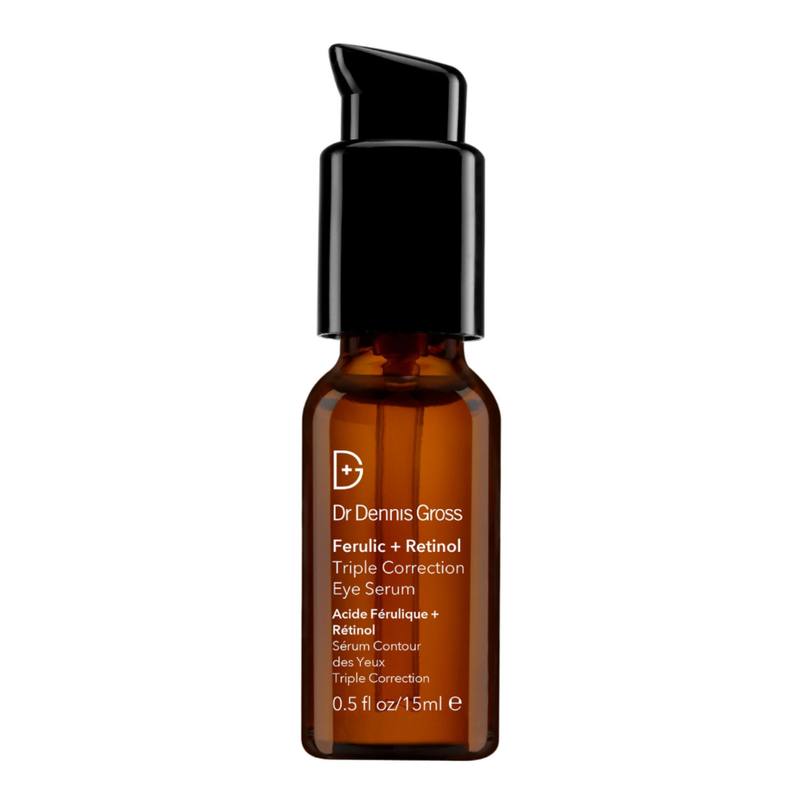 This powerful serum clocks its retinol concentration at 1.5%. But even better than the active being - well, so active - is that its micro-encapsulated, which makes it more gentle on application, but also lets the ingredient stay strong and be less susceptible to becoming destabilized and not work as efficiently. Another great perk of this formula is the addition of squalane – which is a beautiful for replenishing skin moisture, helps calm inflammation and is excellent for oily or acne-prone skin. Put simply, this is glowing skin in a jar. With formulas centered in Jasmine and botanical extracts, the genius about Clark’s Botanicals - and this particular retinol - is in the excellent combination of ingredients and how they actually get to work once on the skin. The retinol in this case is encapsulated for a time-released effect, which is activated when working this into the skin and continues to work long after application. The retinol is combined with colloidal oatmeal to combat surface irritation and make the formula gentler, plus Vitamin E to pack in some antioxidant power and fend off free radicals. If sensitivity is an issue for you, this would be a great addition to your routine! 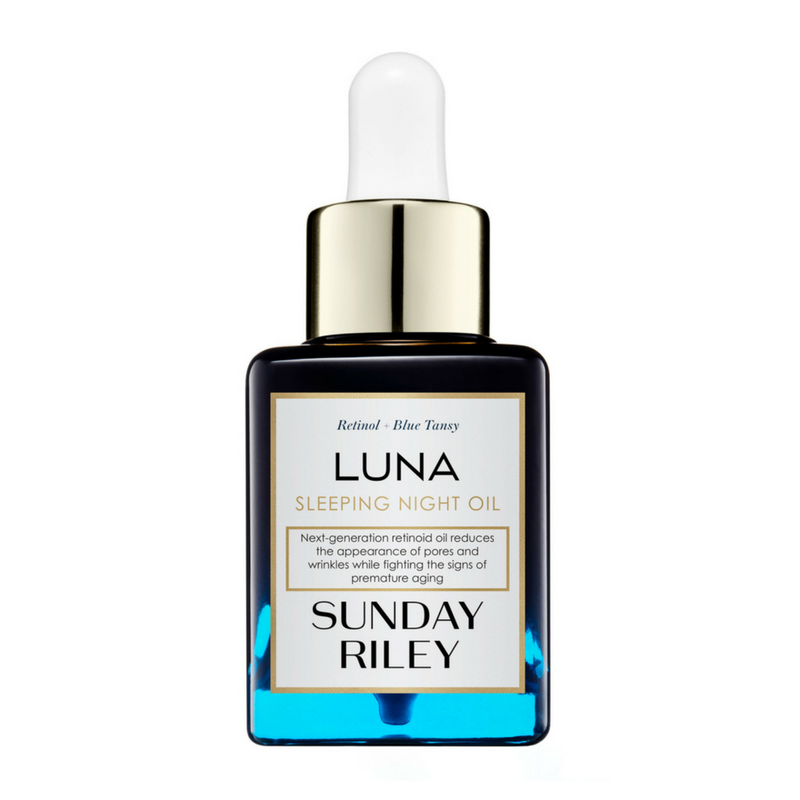 If you’re not ready to dive into retinol creams just yet – or are in the market for a great overnight treatment – the Sunday Riley Luna Sleeping Night Oil is an absolute must. Luna features 2% trans-retinoic acid ester (as opposed to retinol itself), which helps prevent surface irritation while helping retain more of your skin’s water content and prevent dehydration. It’s basically all the good minus the bad – with the added benefits of blue tansy (hence the color) and chia seed oil, which work to combat inflammation and replenish and restore your moisture barrier. My skin is visibly strengthened, smoother and brighter with consistent use of this fantastic oil, and again – its gentle enough for my sensitive skin! Want great results with an even easier method of application? Give these peel pads a try! These come individually packaged and are saturated with retinol and ferulicacid to smooth fine lines and wrinkles, and brighten the skin. Ferulic acid is an antioxidant derived from natural sources (fruits, plants, nuts and certain vegetables) to help combat free radicals and brighten your skin. But the best part about combining it with a retinol is it makes the retinol more gentle upon application while harnessing its wrinkle-fighting power to make it more effective. As a combo, both ingredients penetrate the skin more efficiently and delivery their active ingredients where they're supposed to.This is gentle enough for my sensitive skin, but delivers excellent results and a shiny overall glow, and did I mention they are PERFECT for travel? Nothing beats the individual packaging! It brightens, it tightens, its gentle enough to go over your eyelids – it really does it all! The same power-duo of ingredients (ferulic acid and retinol) go to work in this amazing eye serum that sinks in like a dream and sits really well under the rest of your eye care or makeup. This has become my go-to eye serum, as it treats pretty much every concern under the sun, with no irritation or dryness as a result. Yes, the name is a mouthful, but these under eye masks are a dream and deliver instant results. If you’re in a bind for time, but need a quick pick-me-up for brighter, hydrated and smoother under eyes, these masks do the trick in 15 minutes. These are soaked with liquid retinol, collagen and hyaluronic acid, the combination of which works to reveal an overall brighter and more contoured eye area – kind of like a temporary eyelift. These are great for periodic use as part of your routine or for special event/makeup prep!